This is a very enjoyable read. It is quite a simple story, and has some lovely little touches which keep one engaged and keen to learn how the situation is resolved. Even in my warm room, the description of Lane's little under-heated apartment during the snowstorm made me feel cold! And it contrasted well with the warmth that he found when Trey took him to his parents' house. It was easy to understand why Lane was so immature and nervous, and a delight that the story ran on long enough that we could see him grow thanks to the friends and family that he had deserved all along. A very sweet and charming holiday read. She is a self-confessed Dr. Who addict with a spastic dog and a neurotic cat for companions on her long journey through the many chapters of her life. One day she hopes to visit far-off places and have grand adventures like those of the characters in her stories. 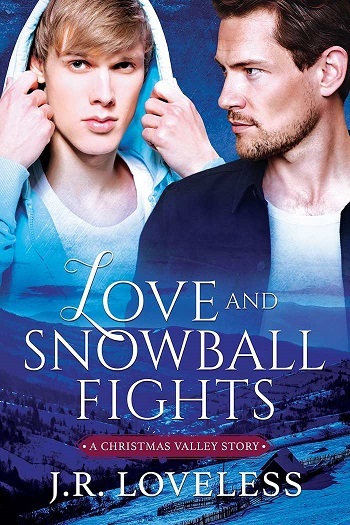 Reviewers on the Wicked Reads Review Team were provided a free copy of Love and Snowball Fights by J.R. Loveless to read and review.